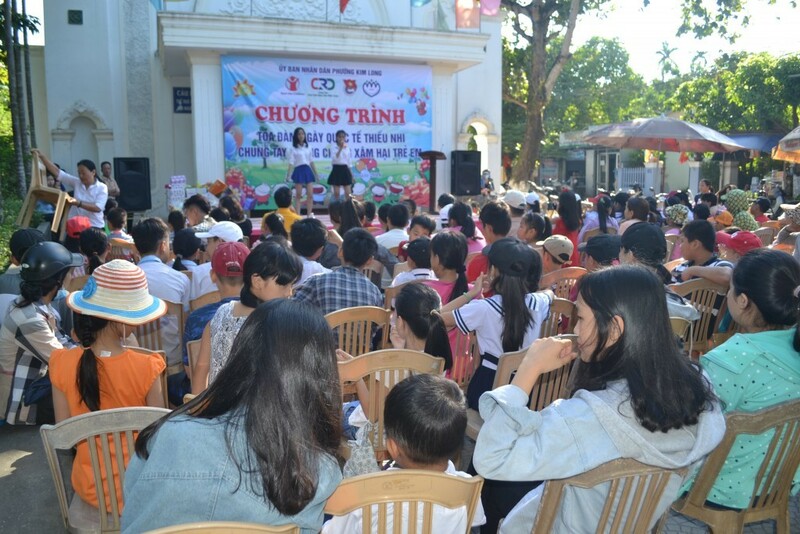 On June 1 2018, a meeting named “Together we prevent child abuse” took place at the community house of Kim Long Ward, Hue City to celebrate International Children’s Day. Also on this occasion, over 100 gifts were presented to disadvantaged children in the area. 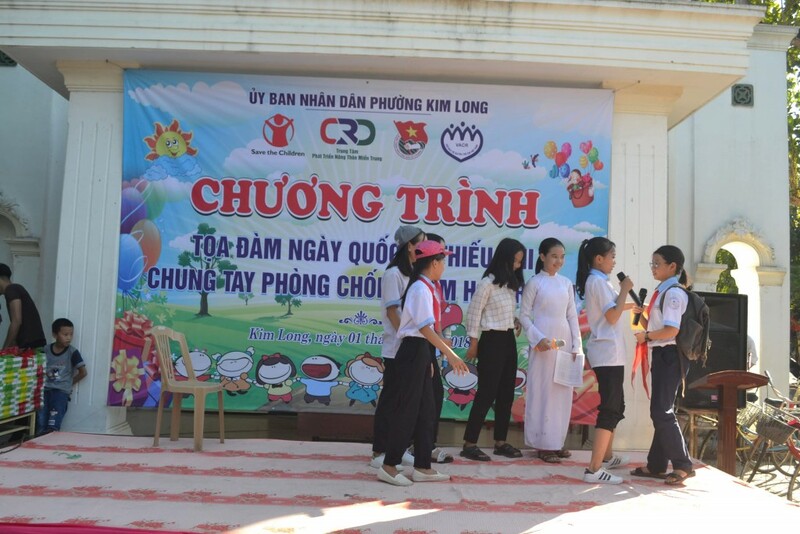 The event took place in an exciting and eager atmosphere with a wide range of activities, namely welcoming performance, role plays on family and school violence, and talks with students about self-prevention from abuse at schools and with parents about better application of positive discipline in everyday life. According to 9th grade student Nguyen Hoang Quyenfrom Nguyen Du Secondary School who attended the meeting,she had learnt not only how to talk with parents in case of being a victim of online bullying, but also how to talk with bullies about their behaviors and how to behave impeccably and amiably towards her peers. “I am so happy that the meeting “Together we prevent child abuse” is held in our Kim Long Ward.The fact that parents use physical punishment as a way of education has now been outdated, and we do need a more proper way to educate our children”, said Mr. Tran XuanTien from residential group no. 4. At the end of the talk, the Youth’s Union of Kim Long district presented encouraging gifts to the disadvantaged children in the ward who had good learning results. 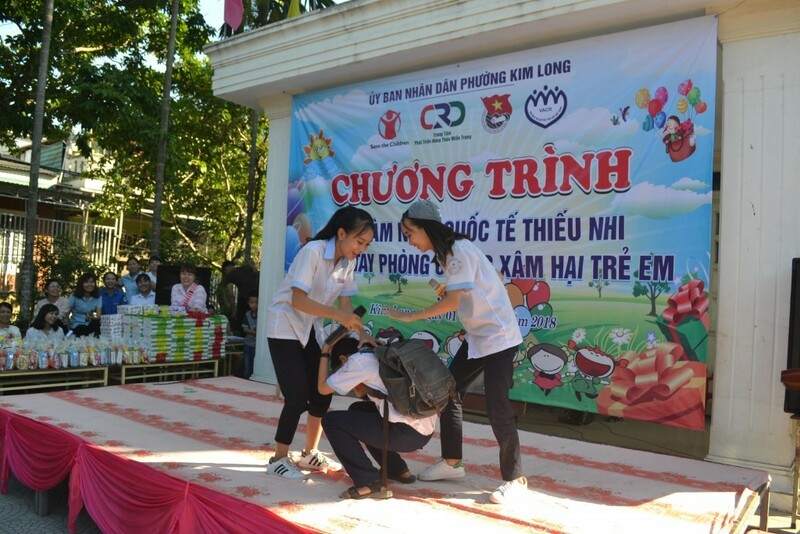 The activity is part of the communication campaign of the project “Strengthening the capacity of social organizations in Child rights governance” funded by Save the Children.